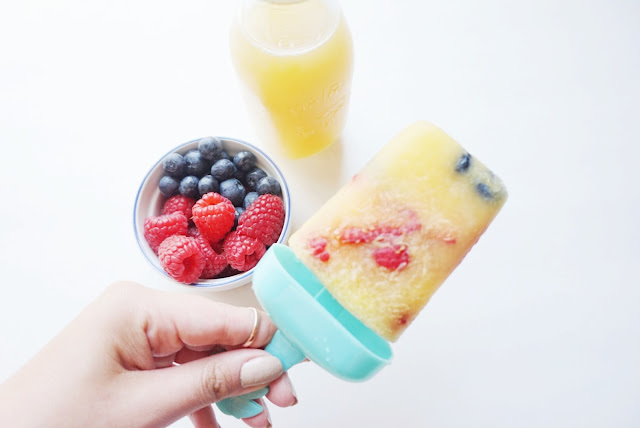 Let there be Popsicles & Sunshine! 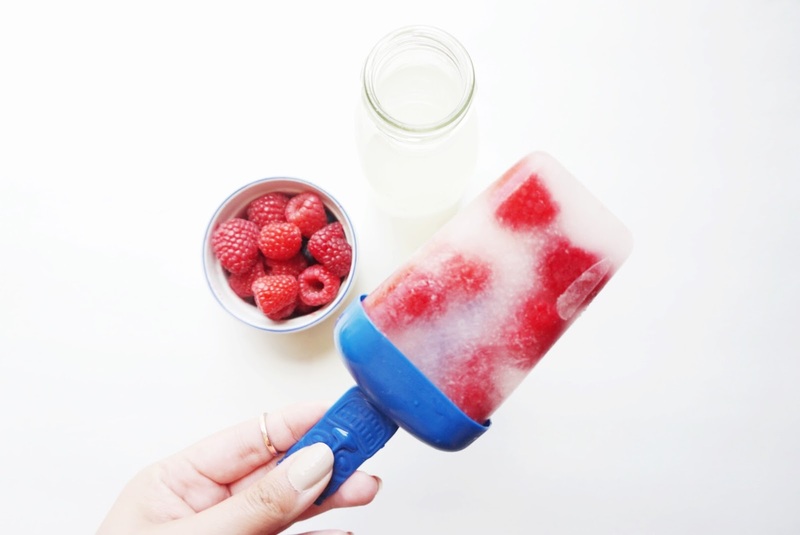 It is finally summer here and what better way to celebrate than homemade Popsicles! I am slightly obsessed with making these. They are perfect for BBQ, backyard parties and hanging around the pool. I love how customizable they are too. You can add whatever you want and make them in all kinds of flavours! These will seriously be the hit at your next party! 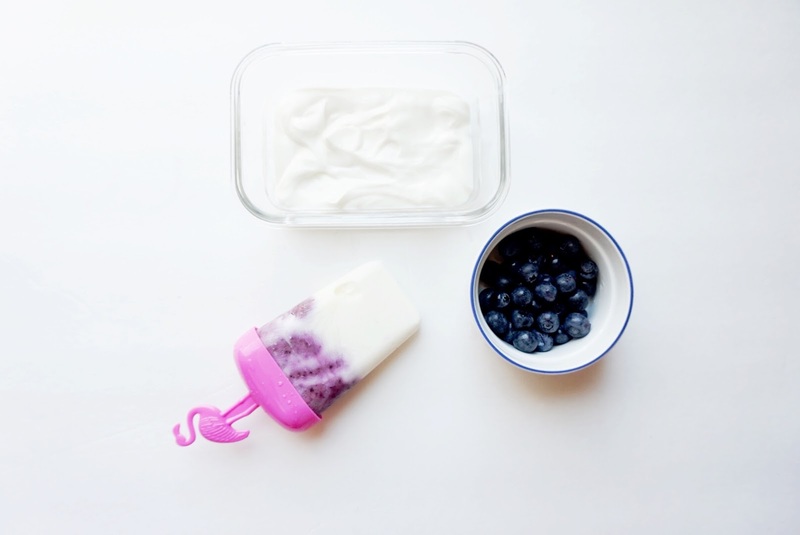 In a blender combine blueberries with 1 cup of greek yogurt. Blend until smooth. 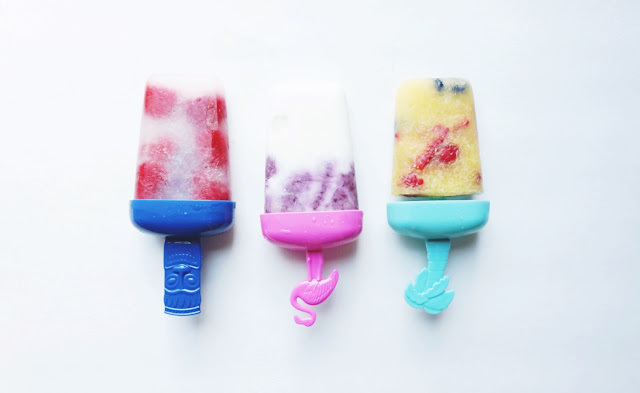 Once all is blended you can than begin to fill your Popsicle molds. Fill half of the mold with your blueberry yogurt, than fill the rest with your plain yogurt. 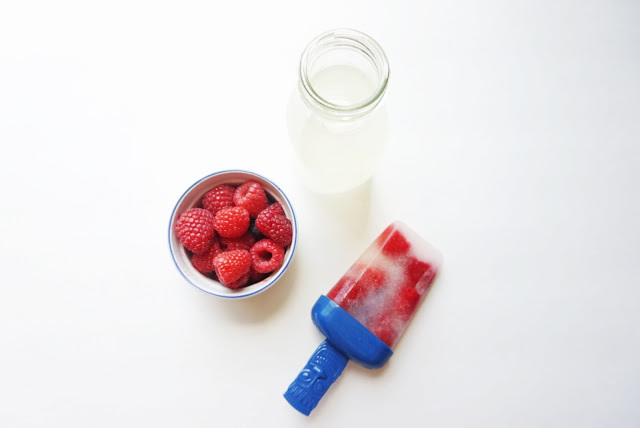 This will give your Popsicles a layered effect. 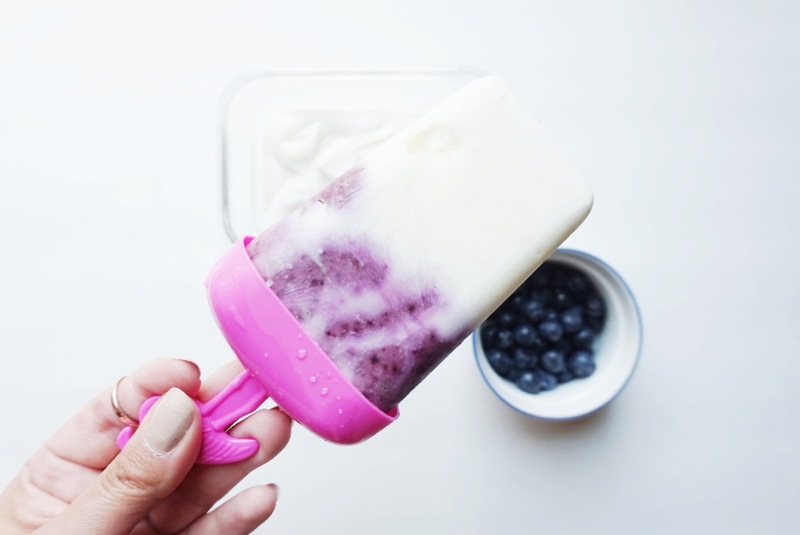 Pop them in the freezer for 4 hours or more! 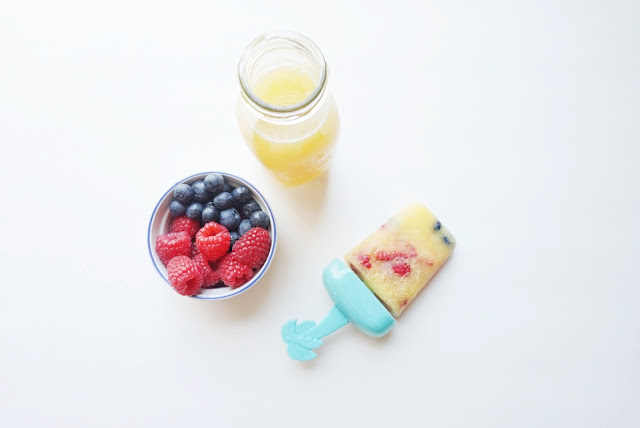 Fill your mold with a couple raspberries at the bottom, than fill the mold with lemonade. Leave about an inch at the top so you can fill the mold with the rest of the raspberries. Add as many as you can fit! Pop the stick in and freeze! Fill your mold with raspberries, strawberries & blueberries. Than mix together your orange juice & pineapple juice. After it is all mixed, fill your molds up to the rim. Add the stick and freeze. Want a little kick!? Replace the pineapple juice with Malibu Rum... yum! Hope you guys enjoyed this tasty treat!